Oh dear readers! Where does the time go? My hiatus from the virtual world is not without excuses but I won’t bore you with the reasons I have been under a rock until I can actually reveal them! Let’s just say I’ve got a new project cooking with my publisher that I am very excited about but that has taken 666% of my time away from everything else. But don’t worry, Varla is here to stay and today I’ve got a doozie of a recent news story to kick off my new season of freakery. 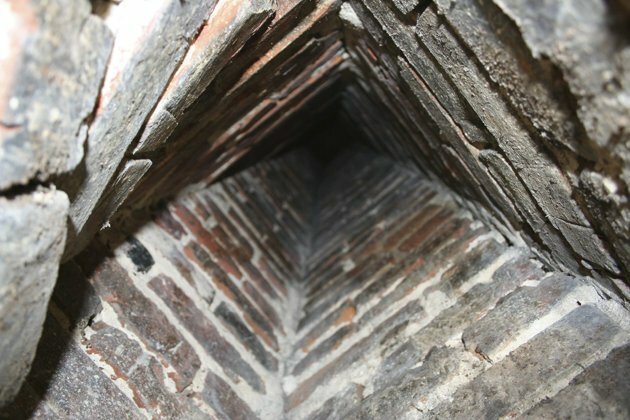 A recent news story has surfaced about a man who was entombed in a chimney for 27 years. In May of last year (2010) a construction worker at a Louisiana bank was helping to remodel the bank’s second floor into offices when he discovered the human remains. He pulled out some fabric that was in the chimney and down came tumbling the bones and bits of clothing that once were Joseph Schexnider. Mystery surrounds how exactly Joseph ended up in the chimney, and investigators are still working the case. Joseph had disappeared years before but his family, who said he was a bit of a drifter following carnivals and taking odd jobs, didn’t report him missing. The Abbeville bank’s second floor was largely left abandoned and no one reported foul smells or cries for help. Any cries from the chimney, police speculate, would have led to the roof. The chimney narrowed to a narrow 3 inch opening, so there was no way out. Exactly how or why Joseph was in the chimney remains to be seen (and we will certainly follow this story) but foul play has been eliminated. His family buried him last week after detectives finished DNA and other testing. This entry was tagged Bizarre News, death, mystery. Bookmark the permalink.